Marko is a graduate of the University of California Los Angeles (UCLA) where he earned his undergraduate degree in Physiological Science. While at UCLA, Marko had the privilege of studying under the direction of Christian Roberts, Ph.D., a nationally recognized exercise physiologist. While attending UCLA, Marko began his career in training and rehabilitation at JMP physical therapy in Agoura Hills, CA. Since returning home to San Diego, Marko has worked in various physical therapy settings as an aide, personal trainer, and sports performance coach. Marko received his Certified Strength and Conditioning Specialist certification from the National Strength and Conditioning Association (NSCA) in 2001. He is a student of the training and conditioning system developed by internationally renowned physical therapist, Gary Gray, known as the “Father of Function.” As the business owner of Function Factory, a membership-based, personal training gym, Marko is dedicated to continuously expanding his knowledge about the industry including, prehabilitation, rehabilitation and personal training techniques, so as to provide his clients with the highest level of service available. His desire to learn combined with his experience as a lifelong athlete and his understanding of how the body works in everyday life, has prepared Marko to work with clients from diverse backgrounds. 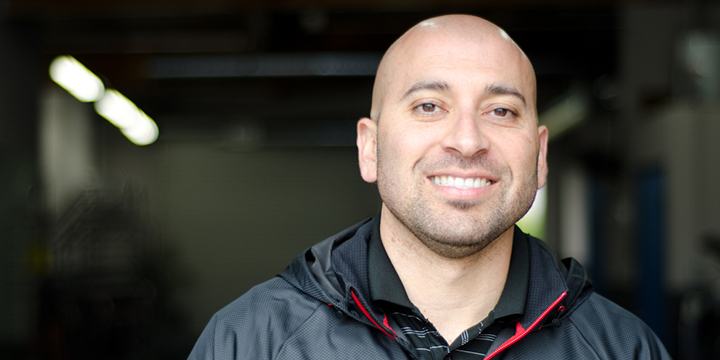 Marko is a seasoned sports performance coach for high school and youth athletes, and truly believes functional fitness can serve clients young an old. Committed to whole-body health and wellness, Marko strives to improve the physical, mental, and spiritual well being of all his clients. He believes a physically-fit, self-confident, mentally-strong person is a complete person. And he works daily to ensure each client walks out of their training sessions energized, confident, and ready to take on their functionally fit lifestyle no matter what that entails. Favorite Quote: “Don’t be too timid and squeamish about your actions. All life is an experiment.” – Ralph Waldo Emerson. Favorite Outdoor Activity/Spot: Running around with my kids, Balboa Park, San Diego Zoo. Favorite Piece of Workout Equipment: Functional Training Grid. Training Style (In Three Words): Functional. Fun. Fulfilling. Why functional training? Why Function Factory? Functional Training allows us to work with a diverse culture regardless of physical limitations. The Factory is dedicated to bringing the best out of our clients as well as our staff. We offer a personalized experience that fits their lifestyle. If you could train any three people in the world, who would they be? Gary Gray (I would pick his brain during the workout), Usain Bolt (I think I could beat him in a foot race), and Warren Buffet (He could give me some great business advice).